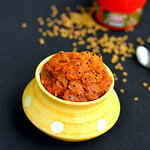 Mango thokku is a very simple yet finger licking n delicious side dish for curd rice.I learnt this recipe from my MIL.Before marriage,I had tasted Andhra mango thokku recipe from my friends.But after marriage,when I saw my MIL making homemade mangai thokku very easily and quickly with less oil,I was amazed. But its of Tamil nadu style. 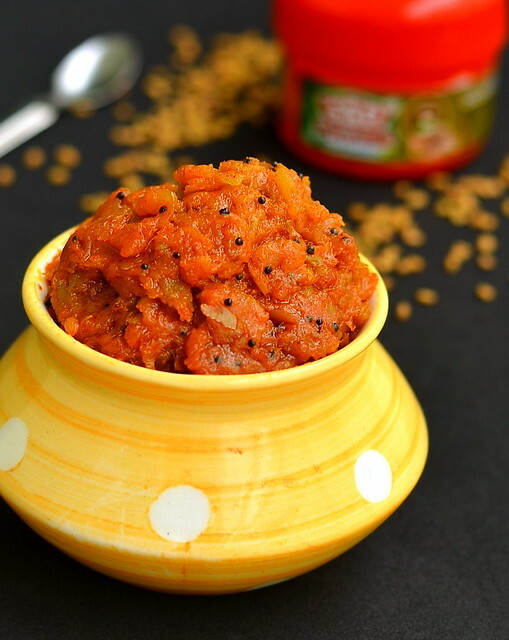 Its a great side dish for curd rice and even chapathi too,This is one of the must try Mango recipes in this season.Roasted and powdered methi seeds and Asafetida/Hing ( I used SSP Asafetida) are the star ingredients for any pickle recipe.So don’t skip it.Try this authentic Tamil nadu style mango thokku recipe and relish it with curd rice. I have also uploaded a full video recipe below.Please check it.Lets see how to make this delicious Raw Mango thokku recipe. Wash the raw mango.No need to peel the skin.Grate the mango using a grater. Set aside. Dry roast the methi seeds in a kadai till it turns golden brown and powder it nicely. 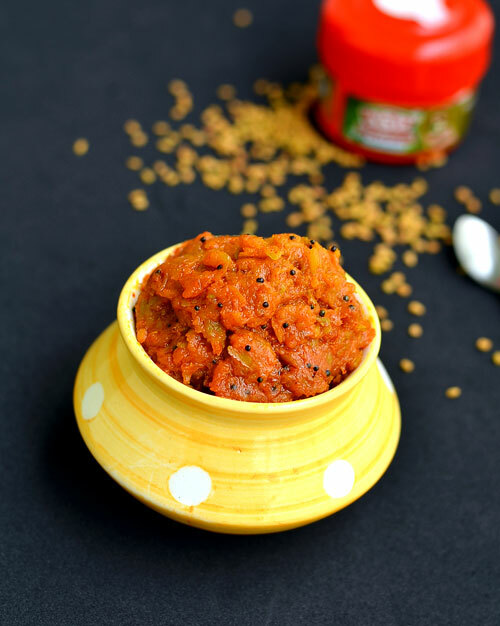 In a wide mouthed kadai,add 3 tbsp of sesame oil.Put the grated mango & required salt to it. 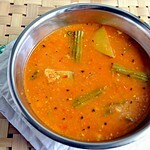 Saute well till it becomes soft.Cover and cook the mangoes for sometime in very low flame. After the mango is cooked well,add the turmeric powder, red chilly powder, hing/Asafetida and jaggery.Mix well and saute for sometime till raw smell goes off.As u mix,thokku will start to leave the sides of kadai. Lastly add the roasted methi seeds powder,mix it and switch off the flame. Temper with mustard seeds using a tbsp of sesame oil. 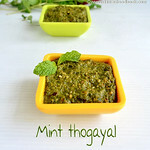 Once the thokku cools down , store it in an air tight container.Refrigerate and preserve for months. 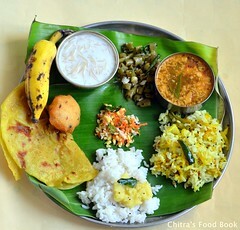 Enjoy with curd rice ! 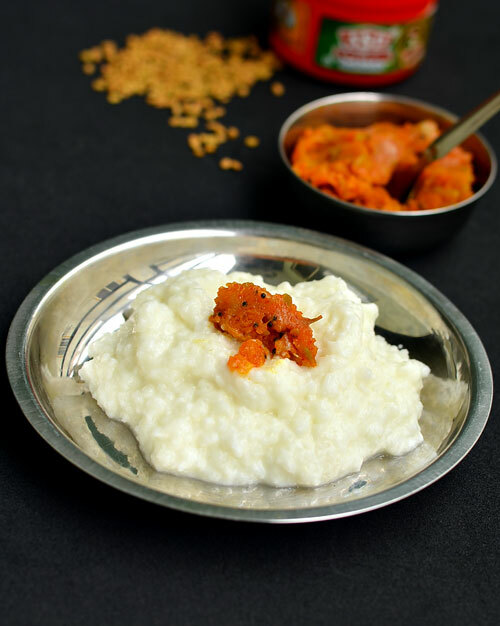 Enjoy this finger licking mango thokku with curd rice.Tastes yummy ! Maggi noodles is loved by all the kids even if they are fussy eaters. Sure there is some magic in it .Though we all know it is not a much healthier option, we make it at least once or twice in a month. Let’s make the same slightly healthy as well as interesting. 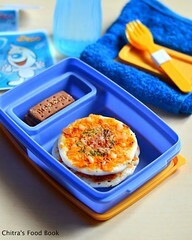 With this thought, I tried this Maggi noodles patties snack for my kid. 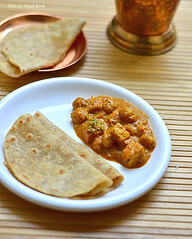 I saw this recipe in a blog long back, but I don’t remember the name of it. 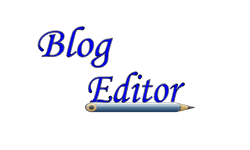 Please let me know if its your blog. I am very much thankful to you for this excellent snack. I tried it on a weekend evening. 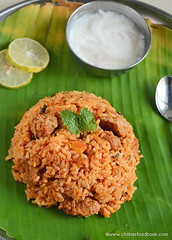 It was tasting great and we all relished this with tomato sauce .Very easy to prepare ,tastes delicious and drool worthy. I am sure kids would love this. Even we parents can’t stop with one. Bachelor’s can also try this. U may like it. 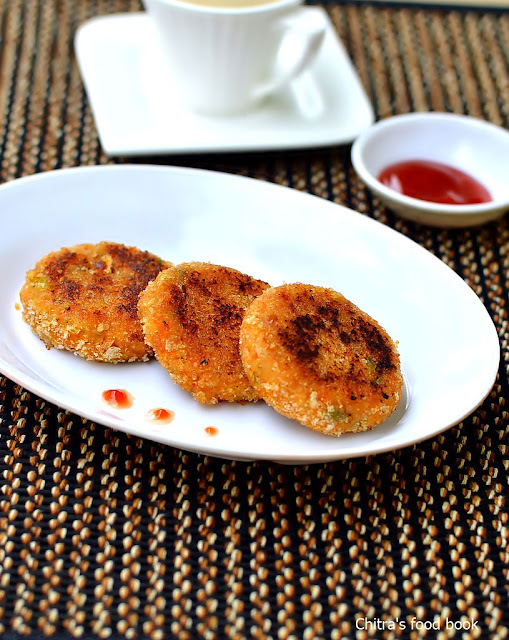 Maggi noodles patties - Kids favourite snacks recipe with a healthy twist. Cook the noodles in required water along with vegetables without tastemaker OR Grate the carrots and saute in a tbsp of oil along with green peas till it gets cooked.I dint use beans here. Make small even sized balls and pat it to make a small circle. Heat a dosa pan and place the patties over it.Sprinkle oil around it and cover cook for sometime. Cook till it becomes slightly crispy & golden brown. Flip it over and repeat the same. Enjoy with tomato sauce. For variations,u can also try adding tastemaker, gg paste and more vegetables like beans, grated cauliflower etc whichever your kids like. U can also use plain noodles instead of maggi as tastemaker is not necessary.No problem even if the noodles are over cooked. 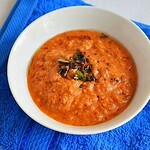 I din’t use red chilli powder as my daughter doesn’t like spicy foods.So use it as per ur need. I am a big fan of bakery style Indian samosa recipe. Whenever I visit chat shops /Bakeries or Cinema theaters, I have this samosa without fail. I really wanted to try triangular shaped cripsy samosas for a long time. After seeing this post ,I got the confidence to prepare samosa recipe at home.Thanks a lot sailu for giving clear step by step pics. I tried my own by making slight changes in the actual recipe.It came out very well. I just relished it with tomato sauce. So I am posting this delectable samosa recipe for you all and for my future reference . Knead the dough with the above said ingredients and keep it closed with a wet cloth for 20 mins. Prepare the stuffing by keeping a kadai with oil. Add the onions, G& G paste and saute well till raw smell disappears. Then add the spices given in the same order and mix well. Finally add the crumbled potato pieces and green peas. Add the required salt and mix well to become a whole mass. Add water if necessary.Switch off the flame and add the lemon juice & coriander leaves.Remove the stuffing and set aside. Take the dough and make small balls of equal size. Shape it as given here and fill the stuffing. Make the samosas and deep fry both sides till golden brown. Enjoy with tomato ketchup / sauce. How r u all ? Sorry for absconding these days .I had an unexpected trip to my native and i was there for the past one week.Some of my readers have asked me why i am not regular in my posts .Actually i felt happy that there are some friends who visit my blog regularly and care for me..plz be around and encourage me.Hope I’ll try to be in par & will come out with nice recipes..
Take a kadai and add a tsp of ghee..Fry the cashews and cloves.set aside. In the remaining ghee , fry the sabudana for 5-7 minutes in low flame till it puffs up slightly ..( the size of the sabudana gets bigger and becomes crispy) .Do it in medium flame.Please make sure u don’t burn it..
Now cook the roasted sabudana with water till it turns transparent..Make sure the sabudana is not over cooked and turns mushy instead it should be visible & separate. When the sago cooks, the middle portion looks white. Take one and press it with finger. No need to wait for sabudana to become transparent. When its soft, switch off the flame. It will cook completely in the heat of water and becomes transparent. Then in a wide mouthed bowl take the powdered jaggery and add water to cover it.Melt the jaggery to make a syrup and allow it to boil till the raw smell disappears. Add this syrup to the cooked sabudana and mix well.Let it boil for sometime..If you feel this mixture is very thick , add some water and boil it.Don’t add milk at this point becoz it will curdle.Always Milk should be added after removing from the flame.Then add the roasted cashews, cloves and cardamom powder. Remove from fire and add the coconut milk.Add some boiled milk to make it watery / thin. 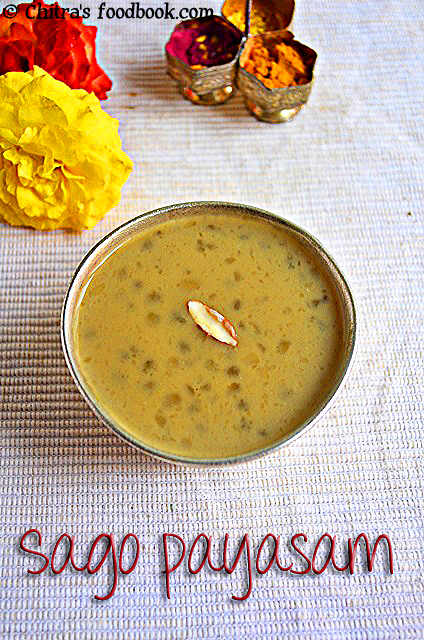 If u think, u have added more jaggery and if it is very sweetish , add milk to reduce the sweetness.. Coconut milk gives a nice flavor & texture to this payasam , so dont forget to add it at the end. 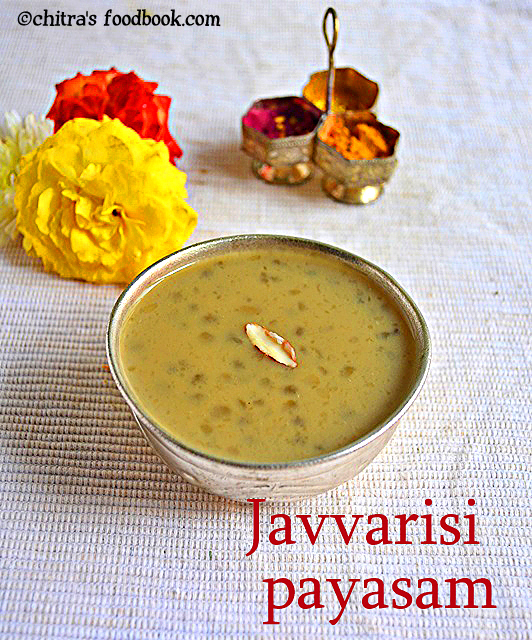 Please add milk or coconut milk only after switching off the flame otherwise payasam gives a curdled look. Soak the raw rice/Maavu arisi in water for 2 hrs . Soak the chana dal in water for 2 hours.Drain the water and spread the rice on a news paper / cloth for 10 mins so that the excess water gets absorbed. Grind the rice in a mixie or processer to make powder..(rice should be little moist ) .Sieve and again grind it to make a fine powder. Steam the rice flour for 15 minutes. **If u use store bought rice flour ,use puttu maavu for best results. If you use that, you can start from the next step.. But you should add little water mixed with salt to make the flour a bit wet. 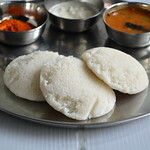 Grease the idli plate with oil and spread the finely ground rice flour. Steam it for 10 to 15 mins.. In the mean time take the soaked channa dal and pressure cook till it blossoms. Do not over cook the chana dal.Usually what we do is , we keep the chana dal in a bowl with water inside the idli pot and allow it to cook along with the rice flour..By the time the rice flour gets ready , the chana dal will also get cooked and blossomed. Take the jaggery in a wide mouthed bowl and add little water just to cover it. Melt the jaggery and strain the impurities if any.Allow the jaggery to boil till it becomes frothy and thick. Add cardamom powder,mix well. Now mix the jaggery syrup to rice flour mixture .Mix well and enjoy by adding a tsp of ghee !! Please keep in mind,u should steam the flour twice to get soft puttu. For storing puttu maavu, steam the ground rice flour for 15 minutes, remove and grind it. Seive it and dry in sun and store in a box.Whenever you need puttu, you can steam it and proceed as given above. The color of puttu depends on the color of jaggery. U can see the difference in color in my old & new pictures. Add more jaggery if you have sweet tooth. Make sure you break all the lumps after u steam the rice flour.For safer side,Grind the flour and sieve once. Then add chana dal and proceed. The consistency of jaggery syrup should be thick else puttu will become a sticky paste. Some people roast the rice flour before steaming. But we don’t do it. We steam the flour directly. 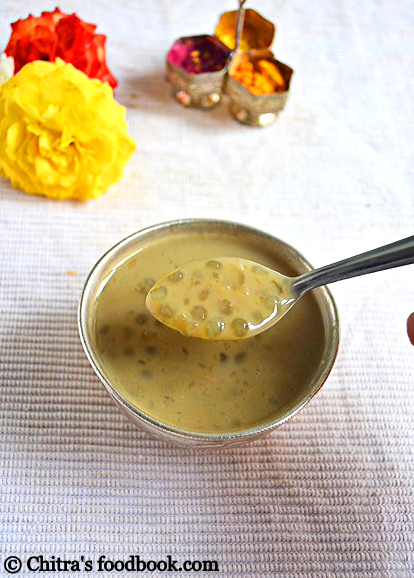 Add a tsp of ghee before serving, It adds a nice flavor ! Take care , catch u all in my next post ! Vegetable cutlet, Veg Cutlet recipe with step by step photos - Today I made an easy to make and yummy mixed vegetable cutlet recipe for our tea time snack. I love veg cutlets in bakery and chat shops. 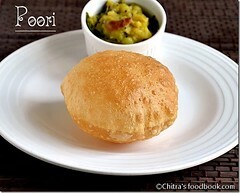 I took this recipe from Mrs.Mallika Badrinath’s cookbook and modified slightly as per the ones I tasted. 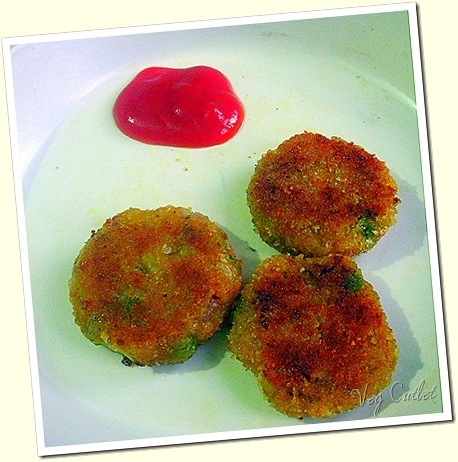 Cutlet can be made with many variations as per your wish. If you like to make Kerala style Vegetable Cutlet recipe, add some cooked beetroot, use coconut oil for sautéing the vegetables and eggs for dipping the cutlet. Basically cutlet looks and tastes the best only when it is deep fried. But being a calorie conscious girl, I always shallow fry them using little oil in a dosa pan and had 3-4 of them heartily. 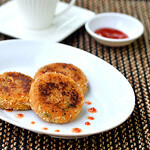 Ok, lets see how to make this yummy vegetable cutlet recipe for tea time snack. Do check out my Paneer Cutlet using Mother's Recipe Instant Poha Mix if u are interested ! Wash and pressure cook the potato,carrot and green peas together in the required water.After the steam is released,peel the skin of potato and mash it well.Grate the whole cooked carrot and mash the peas.Mix all the vegetables and set aside.Grind the bread to a fine powder and keep the bread crumbs ready in a plate. Chop the onions and coriander leaves finely.Heat oil and splutter cumin seeds.Add big onions and saute till it turns transparent.Now add the g&g paste and saute till its raw smell vanish.Now add the salt,turmeric powder,red chilli powder and garam masala powder.Mix well for a minute. Take a ball sized dough and pat it thick to make the cutlet shape.Arrange all the cutlets in a plate.Mix the corn flour,water and make a smooth paste.Make sure the paste is not too thin or thick.Keep the bread crumbs ready in a plate. Now take a cutlet and dip in the corn flour batter.Dip in the bread crumbs.Repeat this again if u want super crispy exterior for the cutlet.Arrange them in a plate.Heat a dosa pan or a tawa.Drizzle few tsp of oil and drop 2-3 cutlets.Cook in medium flame by flipping them once or twice in the middle carefully using a dosa flipper.Cook till both the sides turn golden brown. Cook all the corners by holding in a tong.Remove in a plate and enjoy with tomato ketchup ! It tastes crispy outside and soft inside. You can make these cutlets using potato alone. For variations and to make this cutlet more healthy add grated beetroot too. 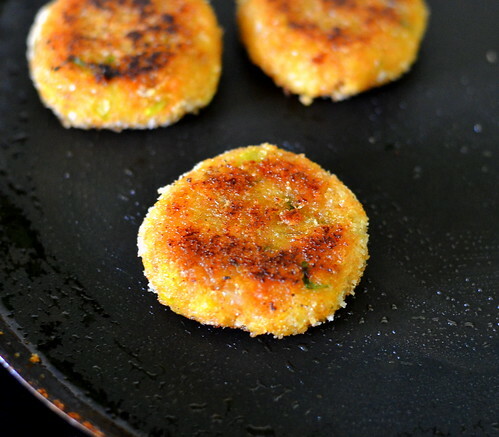 If you are making cutlets for kids,deep fry them to enjoy the best taste. You can also replace garam masala powder with chat masala powder. 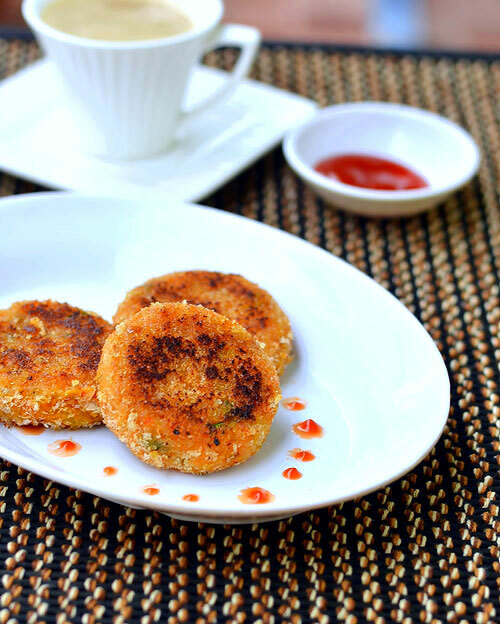 Easy,yummy cutlets are ready to enjoy with tea/coffee !